Home » Anime » How Strong Is Vegeta Now in Tournament of Power? Besides our beloved main character Goku, Vegeta is another fascinating character, if not more interesting, due to his character development. From a villain and mortal enemy of Goku, he gradually learned various things throughout his life on Earth with Goku and other friends. That said; there is one thing fans always want to see: Vegeta gets more “love” from the author. Somehow, Goku has surpassed Vegeta numerous times in terms of power and he often gets jealous each time he sees Goku getting a newfound power. Yet, in the recent event of Dragon Ball Super Tournament of Power, he didn’t show any sort of jealousy when he saw Goku’s Ultra Instinct form. Why’s that? What is he hiding? Does he surpass Goku this time? Let’s find out! 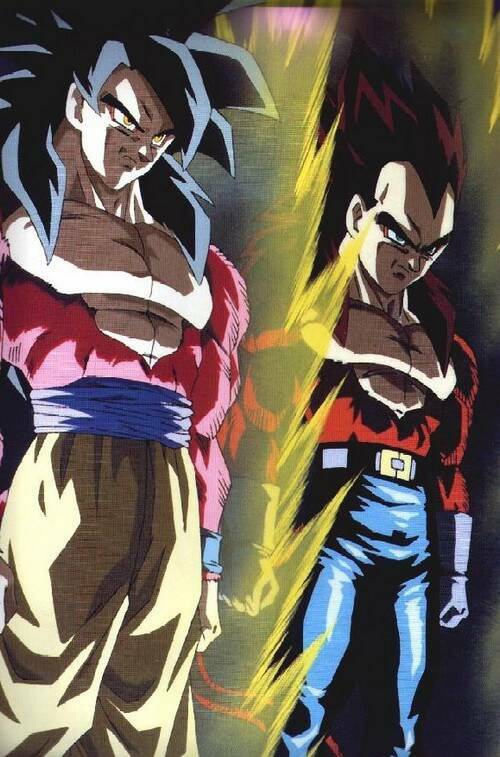 So in order to determine how strong is Vegeta, let’s compare him with Goku since they are the best rivals. And of course, people always want to see which fighter among them is stronger. So here we go! Of course saying Goku always surpasses Vegeta is kind of overstatement since it depends on different times in Dragon Ball history. At the first time they met, Vegeta is clearly on the stronger side. Goku tried various techniques, including Kaio-ken, then Kaio-ken x2 but all those efforts didn’t work. It required Goku to use Kaio-ken x3 & 4 to defeat him. However, it put great strain and pain on Goku’s body. Eventually, Goku still lost to his Great Ape Form. That was the first Vegeta made his appearance and he totally overpowered Goku (he was only temporary defeated after Goku using Kaio-ken). But ever since, most of the time Goku surpassed Vegeta especially in terms of gaining new power. When he and Goku used the same Form, he mostly lost to Goku, or just equal at best. But the thing was: Goku was always one step ahead of Vegeta, no matter how hard he tried. At the end of Dragon Ball Z, Goku was the only one who could transform to Super Saiyan 3 while Vegeta couldn’t. 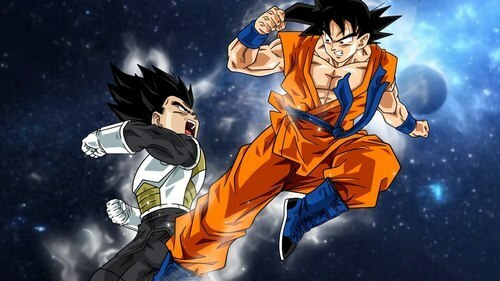 Even Vegeta had to admit that Goku was stronger than him due to his lack of Super Saiyan 3 (we can sure that admitting this wasn’t easy for him). Despite being sequel to Dragon Ball Z, Dragon Ball GT isn’t directly based on Akira Toriyama’s original series. Still, it is a legit story to estimate Vegeta’s power. Since Dragon Ball GT is the shortest series, we will only consider the final Shadow Dragon Arc. In this arc, Goku has to fight against the evil Shadow Dragons, and ultimately, the Omega Shenron. Goku transformed into the powerful Super Saiyan 4 but somehow Omega Shenron still overpowered him. When Vegeta “surprisingly” transformed into Super Saiyan 4, both he and Goku were still unable to defeat Omega Shenron until they fuse into Gogeta. Of course this fight against Omega Shenron didn’t show how powerful Vegeta compared to Goku. Still, we have the impression that they are equal in power when both transformed to Super Saiyan 4. Let say Goku and Vegeta were likely to be in equal term. However, it seemed the “love” still leaned towards Goku. 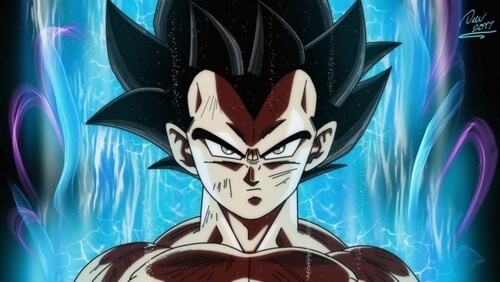 Although Vegeta could transform between Super Saiyan God and Super Saiyan Blue at will, in the end Goku mastered these forms better than Vegeta. And no doubt, it was a big pain for him. 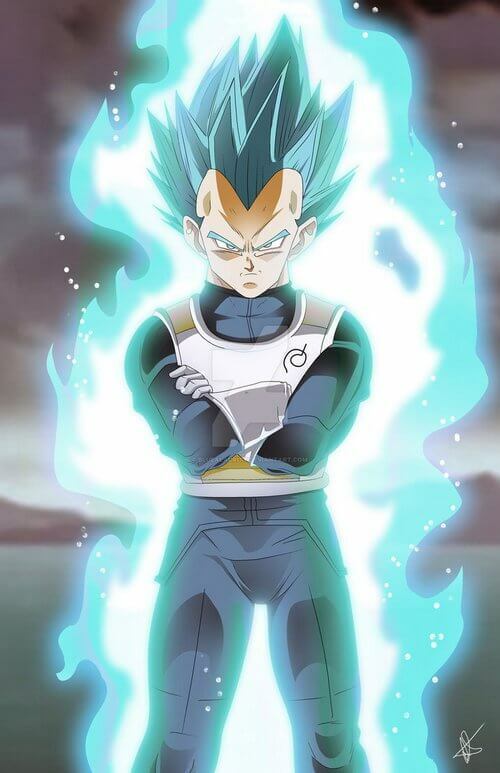 In terms of power, Vegeta could switch between Super Saiyan God and Super Saiyan Blue extremely quickly. This allowed him to move quickly with Super Saiyan God, and boost his strength with Super Saiyan Blue. Since maintaining Super Saiyan Blue put a heavy stamina, this switching allows him to save stamina and he even overwhelmed Super Saiyan Rosé. That said; Goku still proved to be superior as in the manga, he could utilize the power of Super Saiyan Blue without stamina flaw. He was even able to empowered himself to go toe-to-toe with Fused Zamasu, a feat which Vegeta couldn’t achieve. As the results, it seemed Vegeta was still kind of… inferior to Goku. And of course, this pattern greatly “disturbed” his fans… Until recently, we have pretty good hints of what he has learned and high chance he surpassed Goku this time. 1) Vegeta’s Ultra Instinct is significantly different from Goku and Beerus. If this is true then it also means that Ultra Instinct’s appearance depends on different users. 2) Vegeta has a totally new power and fascinatingly, it is also as insane as Ultra Instinct. Of course, this is pure speculation, but nevertheless, it is a fun thing to do while waiting to see his true power. Sagar V pointed out that the main reason why Vegeta couldn’t surpass Goku is due to his obsession with winning against Goku. And unfortunately for him, this obsession prevented him from focusing on his true inner potent, his very Ki. According to Whis, if he could relax his body and focus on Ki training, he would be one-step ahead Goku (which is likely to come true). Why’s that? If comparing the Saiyan power to God’s power, the power of the Saiyan is only like a branch, compared to the great tree of God’s power. And while Saiyan power focuses on physical strength, God’s power is about Ki control – the exact thing Vegeta was lacking. 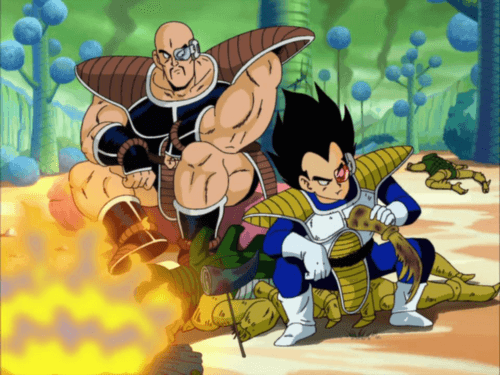 In short, if Vegeta could be able to let go of his obsession with Goku, he could calm himself and be aware more about people around him, including his family. While this may sound unrelated, it actually makes sense since family is what changed Vegeta. He started to think differently and it helped him change his mindset. So, did he actually change? Yes! Sagar V already made a comparison of his recent training to his old trainings. Unlike his previous trainings, this time, Vegeta didn’t show any sign of physical fatigue or tiredness. He looked calm and determined, and we definitely feel there was something different within him. This highly hinted that he has finally learned Ki control; he no longer depends on physical strength alone. Can Vegeta surpass Goku this time? Let say it’s highly so. Again, when Goku suddenly gained Ultra Instinct, Vegeta only showed curiosity rather than jealousy. From this reaction, we highly think that Vegeta is confident with his power. His newfound power is highly equal, if not stronger than Goku. Also, from Vegeta’s latest training a second time, we know that Vegeta already learned Ki control. Whatever his new power is (including Ultra Instinct possibility); he must already have practiced it numerous times off screen. If Vegeta’s hidden power is Ultra Instinct then definitely he has already mastered at least a part of it, unlike Goku who have just suddenly gained it. But in any cases, this is definitely good news for Vegeta fans. Vegeta surely gained a new power, he has shown most character development. And in this Tournament of Power, he will surely surpass us all with his hidden insane power.